PEER Bearing is a manufacturer of bearings for many industries, with a North American headquarters and global distribution center located in Waukegan, IL. In this facility, they receive approximately 100 pallets of material each day from their manufacturing facilities around the world while also processing a variety of outbound orders ranging from single packages to full pallets. 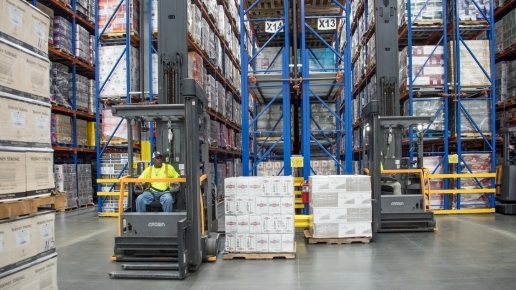 PEER Bearing has depended on a fleet of Crown forklifts for more than three decades, primarily due to the trucks’ durability and long service life. Their fleet includes very narrow aisle turret trucks, order pickers, reach trucks and stand-up counterbalance trucks, each focused on specific tasks throughout the warehouse. The reliability of the company’s fleet is further enhanced by a maintenance plan that ensures that each truck is fully maintained and able to meet the company’s demand of near 100% uptime. As PEER Bearing and its forklift fleet grew, it became more challenging for the company to reliably track forklift utilization. The work had become more specialized and trucks were selected and added to the fleet based on a lot of guess work about how they were being used. 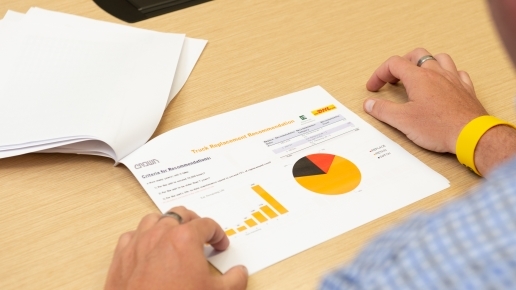 The company elected to deploy Crown’s InfoLink® operator and fleet management system to capture information regarding forklift and operator utilization and make more informed decisions about its fleet. The InfoLink system showed almost immediately that the company would benefit by switching out two underutilized order pickers for reach trucks that could help it be more productive. Linval has also attended Crown’s DP TrainSafe® Train-the-Trainer course and developed the skills and tools necessary to efficiently train employees in-house regarding truck features and safe operation. “The training was certainly beneficial. It’s given me a lot of training tips that I can use but also gave me a lot of insight into the safety and OHSA standards that go into the overall safety of our operations,” Linval added. Follow the links to learn more about PEER Bearing’s fleet, forklift utilization, safety and training experience.